Never under estimate the importance of mulch when it comes to plants. Mulch helps keep the soil moist, loose and at an even temperature for your plants root zone. Additionally it can provide some winter protection. A good layer of mulch is vital to growing good Garden Roses with minimal fuss and care. 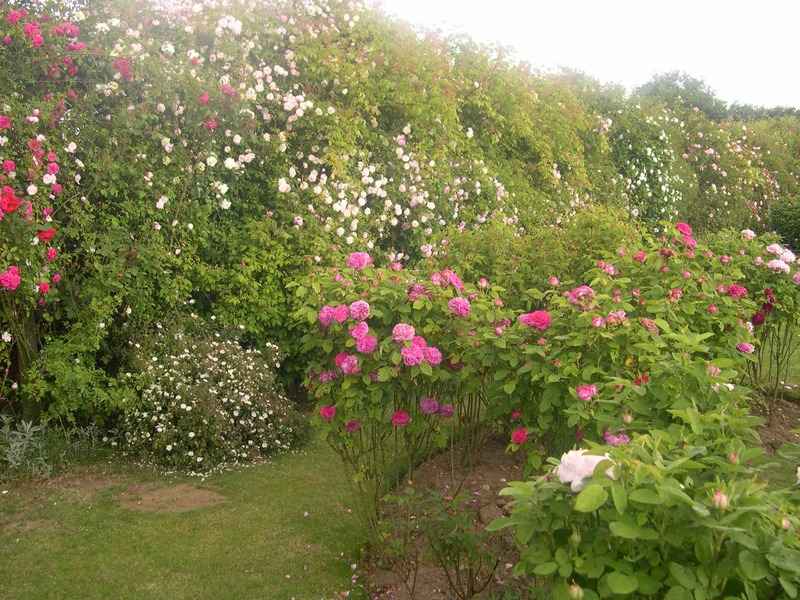 It also enriches the soil and that leads to healthier roses. Healthier roses equals more disease resistant roses. What kind of mulch should you use? We recommend hardwood mulch ground from trees in your area. There is some evidence that mulch from hardwood trees native to your area aids in disease suppression. The best time to apply a fresh layer of mulch is right after you prune. Why? Because the roses are trimmed back and you can get in there without getting scratched up! You may have heard, or read, somewhere that you should remove old mulch. We advise against that and here is why. Fresh hardwood mulch needs nitrogen to break down. It takes that nitrogen from the air and from the soil beneath it. Therefor a layer of fresh mulch laid directly on bare soil will take nitrogen from your roses and we don’t want that. Once mulch has aged, however, the reverse happens. It releases nitrogen. For this reason that layer of year old mulch is an important “nitrogen releasing barrier” between your roses and the fresh mulch you just put on. That layer releases nitrogen both down into the soil for your plants and up into the fresh mulch to help it break down and become next year’s nitrogen releasing layer. Never take out old mulch but leave it in to provide nitrogen to the plants and the fresh mulch. Layer your mulch to about two inches and check on it during the season. If it gets a little thin add some more – particularly when the weather starts to get hot. Mulching also enriches your soil over time. Think of a forest floor that is constantly absorbing decomposing leaves and fallen trees. That decomposing organic matter is what makes a forest floor one of the richest soil environments we have. Steady mulching will do the same for your garden. Use a hardwood mulch from trees native to your area. Never remove old mulch. Leave it in to “feed” your plants and the new mulch. Mulch after pruning to about two inches and add as needed.